I’ve always kept a planner to help me keep track of things. I’ve also frequently had multiple types of notebooks to help me keep track of my different writing ideas as well as my to-do’s. With my responsibilities increasing I needed a way to keep track of all of my responsibilities in one place. So far Bullet journaling has really helped me get a hold over our finances. This month I just focused on getting the finances together, next month I plan to include appointments, meal planning, chores, and habits into my journal. Here is how I plan to organize August in my Bullet journal. The Last Time I (tracker) Changed the sheets, bought xyz, Cleaned xyz, etc. Creating this bullet journal has really helped me in laying out my thoughts over the past week. I too often have a million things running through my head, and often feel that there is not enough time in the day. As I get more into bullet journaling you can expect a few how to hobby posts about it. It seems to be a popular idea at the moment, but it is an organizational tool that I am finding to be extraordinarily helpful. It is a one stop shop for all of my needs. Unlike in the past where I would write about my day in my diary, keep track of my future to-do’s in my planner, and make a list of my daily to-do’s inside of the nearest notebook I could find, now I am able to keep track of all my ideas in one spot. There is no right or wrong. I had been wondering just what I was going to do with the beautiful leather bound journal my husband had gifted me a couple months ago, and now I have the answer. Its been incredibly freeing to just get all the ideas down in one place without constantly having to look for the right notebook to write it down in. Amazingly this organizational tool also has its own community, there are so many people online talking, sharing, and experimenting online with this concept. The inspiration for others on exactly how to do a bullet journal is ultimately refreshing. So tell me have you experimented with bullet journaling? How do you like it so far? Please share in the comments below. It seems everyone has their own way of organizing the kitchen, the pantry, and don’t get me started on the variety of ways in which we as people load the dishwasher. When my husband Daniel first moved in with me I was already well established in my first apartment where I had managed to organize the tiny kitchen so that it worked well for me and my style of cooking. Daniel however, was used to a professional kitchen with everything within hands reach to do exactly what needed to be done. As it was, the way my kitchen was set up was illogical in his eyes. Over the first year of us living together, we made some minor changes to its organization, but it was never quiet perfect for Daniel and he would constantly explain how certain items would have been better placed in such and such location. When setting up our new apartment, I took special care in organizing the layout of our kitchen based on the constant complaints and exclamations Daniel had made at the last apartment. The following is how I did it. Place all pots and pans in the drawer attached to the stove, if you do not have one of these you have two more options. Place pots and pans on a rack that hangs over head. In a Cupboard that is next to or closest to the stove, particularly one that sits on the ground, as they tend to be larger than the overhead cupboards. Also, place all metal baking sheets, steamers, rotisseries, and serving platters in a cupboard closest to the stove. Drink-ware should all be in a top cupboard nearest the fridge. Note: do not put in cupboard above the fridge as this is very hard to reach. This cupboard should be used for rarely used items and or alcohol/ other products you would like to keep out of the reach of children. Keep plates and bowls together in a cupboard that’s easy to view while standing in front of. Keep large mixing bowls here as well if you can. Keeping your mixing bowls here makes it easier to locate when you are thinking to yourself I need a bowl. Keep all tableware in a drawer either nearest the edge of the kitchen for easy grabbing on the way out/ when you forget to grab one or place in a drawer beneath the location of your plates/bowls. Spatulas, tongs, whisks, basting brush and bulb etc. etc. The items you use frequently should be in a cylindrical container on the counter near the stove, all others that do not get used often or that do not sit properly in the cylinder should be placed in their own drawer nearest the stove. Do your best to keep Tub-a-ware mess exclusively on one shelf of your cabinets though ideally somewhere that is easy to see and grab from. We have two shelves of tub-a-ware one of which is a mess and contains the plastic cheap to-go containers. On the second shelf it is much better organized, this is where we keep our nicer glassware tub-a-ware. Put these in an easily accessible location especially if you use your oven a lot, you want to be able to easily locate the proper dish. There are many different types of gadgets from toasters and can openers to mixers and electric grills; anyone who’s lived on their own long enough has collected at least a few of these gadgets. For the gadgets, you use every day its best to find an out of the way location on your counter-top, preferably near a wall outlet. We keep four such gadgets on our counters including the electric can opener, toaster, coffee maker, and the base of our blender. As for our Microwave, we thought it better to save counter space for food prep by placing it on a small wooden table, which also acts as a holder for our recipe books. We have an eat-in kitchen so the table sits easily in the corner of our dining area. So what about all those gadgets you don’t use on a daily basis? Well in my case, they are placed out of the way in a bottom cupboard, as you don’t use them very often there is less concern to be had about visualization of these items, and placing them one behind another is not a big deal. Just be aware of the order in which you place them. If you use your crock pot more often than your electric griddle, don’t place the griddle in front of the crock pot. I keep all my unused vases under the sink and as for my unused pitchers; I keep them above the fridge. The cupboard above my fridge is a little taller than some so I like to place tall/awkward items that don’t get used very often in this location as it is out of the way. Note: My Oven mitts hang off a plastic door hook usually reserved for hanging jackets on the backs of doors. I took an extra one that I had and hooked it over one of the cupboards near the stove. It is the perfect place for quick retrieval of oven mitts when I need them and it holds five perfectly. There is a junk drawer in just about every house, and more often than not, it is located in the kitchen. Though you don’t necessarily have to fill every drawer I understand the need to do so. In order to prevent the creation of a junk drawer in my kitchen I put assorted lids and straws in one drawer. I then put extra rags for cleaning and using in the process of a quick microwave steam in another drawer. My other drawers holds large utensils like tongs that don’t get used very often. The fourth and final drawer holds the silverware. There are four main steps to keeping your kitchen clean. All of the areas I just listed are places that most people forget about or ignore. Many people like to do their yearly cleaning in the spring, me I like to get it done at least once a season in order to make sure my home is as clean and de-cluttered as I can make it. Many people are busy and I understand this, but if you could just take a few hours one day every three months to do the following steps you would find your kitchen to be cleaner and a more inviting place to eat. I hope that many of you already clean up messes as they occur, but I also know that some messes go unnoticed or kids and other family members may not be so great at cleaning up after themselves instead leaving disarrays behind them like some sort of spinning tornado everywhere they go. It is for these build ups of uncleanliness that this article is for. Now let us deep clean that kitchen. Step 1: Easy enough wash the dishes, any dish that is dirty in the house, score every child’s room, bathroom, living room, and play area to make sure that not a single dish is missed. Also, don’t forget to empty the fridge of all those un-eaten leftovers that have long since gone bad sitting in the back of the fridge. After washing dishes thoroughly in the sink, place them in the dishwasher for proper sanitization. After all, you don’t know how long that cup was growing mold, or how long that pork chop was sitting in that glass bowl. Step 2: At this point you likely want to take the trash out, as cleaning up the rest of the kitchen won’t be easy with it smelling like the entire last month’s decaying leftovers. While you are at it wipe down the inside of your trash can with soap and water to help prevent bacteria growth from smelling up your home. Step 3: After all of the dishes have been washed and put away wipe down the counter using your preferred cleaner, I really like method all purpose grapefruit scented cleaner and their mint glass surface cleaner. Wipe down the counter tops and don’t forget to scrub behind the sink nozzle you will be surprised by the number of food particles and even mold that can form in that area simply because no one thinks to clean it. Also be sure to pick up all counter top appliances and clean beneath them as well. Step 4: While your hands are on all those appliances give them a wipe down as well. This is also, where we get to the electric can opener. The cleaning of this area may require some special tools in order to make sure you can get into all of the little nooks and crannies of the gears. I recommend using the small part of a bottle cleaner as well as a strong cleaning formula in order to make sure the bacteria is killed. Note it is important to be careful not to stick yourself with the blade while you are cleaning, as it is very sharp. Step 5: We often don’t think to clean out the inside of our cabinet drawers, but often our drawers get left open allowing dirt, food particles, and dust to make their way in over time. Give your utensils a good rinse or give them a quick sanitizing through the dishwasher, wipe down the inside of the drawers with a food safe cleaner I like method all purpose for this one. All while your cleaning out these drawers make sure you wipe down all parts of your silverware organizer too after all these things can often become a place for dirt and food particles to gather especially since you often are holding plates of food as you open them and all kinds of crumbs can fall in there. Step 6: Wipe down the front of all cabinet doors (especially if your cabinets are white, all that cooking can cause grime to build up creating discoloration). Step 7: Wipe down the top part of your fridge, you will find the most dust collects up here. Step 8: Wipe down the part of the stove fan that juts out from the wall, when you are cooking with things like oil and steam this area can easily build up with grime as a result of evaporation, dust also likes to accumulate here making for a nasty spot gathering right over the location where you’re doing your cooking. Gross! Step 9: I’m sure this is an area you are constantly attempting to keep clean, but I feel its worth mentioning anyway, clean your stove tops, remove the burners and soak the drip pans scrubbing with steel wool for those more persistent burn spots. A good way to prevent having to constantly clean these is to wrap them with aluminum foil, doing this allows you to remove the foil when it gets too dirty and just add a new clean one. For those who do a lot of cooking on the stove-top this can be a major time saver. Step 10: I used to use an oven cleaner to clean my oven, but the fumes from that can be very toxic so I have since switched to using baking soda and vinegar. Step 11: Don’t forget if you have a drawer beneath the oven that holds your pots and pans, this area often gets ignored. This is very unfortunate as food is very often dropped into this drawer while you are cooking and preparing meals, be sure and remove all the pots and pans and clean this drawer out with all purpose method cleaner. Step 12: The microwave, this is a spot everyone hates to clean, but so often it requires cleaning, remember the inner glass circle can often be removed and sent through the dishwasher. For easy cleaning, put a bowl of vinegar in the microwave for two minutes, then wipe down with a sponge. Step 13: Clean the fridge inside and out. Use bleach cleaner on the shelves and drawers. Pull all food products out before commencing the cleaning, throw out all expired items at this time after all no point in putting spoiled food back into the clean fridge. Be sure to remove the drawers and shelves individually in order to get to the back most parts of the fridge as often times when spills occur we don’t think of the possible mess they are making down the back part of the fridge. Also, give the top of the inner fridge a good wipe down as well. Be sure to do the same with your freezer after all it gets messy too. Step 14: Clean out your pantry, throw out expired and empty food boxes. Wipe down the shelves, and sweep the bottom part of the floor. Dust off all the cans that have been sitting for a while and donate anything you know will not be eaten, but is still considered good. Place the older cans in the front and newer cans in the back. Step 15: Finally, the last step sweep and mop your floors. 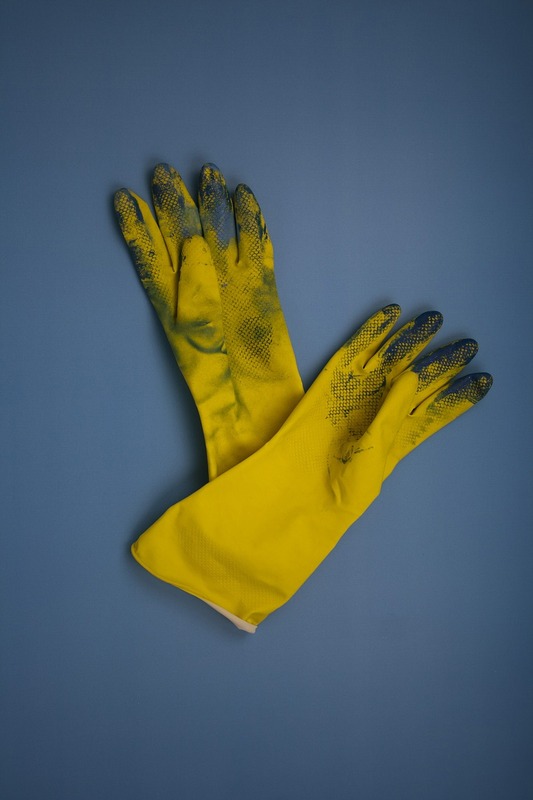 If you have any kitchen cleaning tips you would like to share or feel I may have missed something please leave a comment below. First, I have a March to do list, with all the things I need to accomplish this month to optimize and improve my blog. I have also created lists for monthly, weekly, and daily to do’s for the blog and my household responsibilities. I love lists, and organizing my to do’s. To help keep my mind and work organized I set up a whole new system in the form of three poster boards and post-it’s. I stole the idea from one of my favorite bloggers Suzi from Start a Mom Blog. Her Super Simple Weekly Schedule helps me keep track of my events, housekeeping, and gives me some basic ideas of what’s going on with the blog that day. I am also using her Blog Vision Board and Editorial Calendar. The Editorial Calendar could also be used for a monthly schedule if you are not running a blog or if you just want to keep track of your monthly basics. I’m not a clean freak by any means, however, I love reading and writing about organization and spring cleaning. Don’t ask me why, because I really don’t know. One of the things that often gets forgotten on our spring cleaning list however, is cleaning out the computer. How many of us have piles of documents located all over our computer. Sometimes it can make it difficult to find or remember where we saved that one document, or where we saved that one web-link. On top of that how many of us have devices we no longer use cluttering up our drawers, and garage? Consider this your one stop shop for all your computer and technology related spring cleaning tips. I always find when it comes to things like spring cleaning it is great to have a list. So begin by making a list of all the gadgets you have that may need to be de-cluttered. Associate the amount of time it will take to go through each item. Phones can take anywhere from 30 minutes to an hour, your computer will likely take 2 or more hours, a tablet shouldn’t take more than about 30 minutes, same goes for the ipod. Now as far as memory sticks go you will want to save these until after you have done what you needed to do with the computer. It may not take long to go through each one, but you may also need to place certain things temporarily on the computer or you may even need to move some things from the computer to the memory sticks. Where to begin with your phone? I would first start with the contacts, it is the fastest and easiest thing to clear out. Remove any contacts you no longer need to have in your phone. Update any contacts that need to be updated phone numbers, emails, names, addresses ect. Sync any contacts that you have been meaning to sync with your social networks, but had not gotten around to doing so. Next, go through all of your apps, remove any apps you do not use. Delete them from your phone. Also make sure any apps you use regularly are on your home screen so that you are not searching all over your phone for them when you need them. Finally, back up all of your pictures and video to an online cloud. I like to send all of my pictures to Shutterfly so that when I finally do get around to one day creating that awesome scrap book I’ve been dreaming of, all of my pictures are already their. Once all your pictures are backed up delete them all off your phone so you have space to take more pictures. Clear out any books or unwanted apps. Check your memory space and consider what apps are important to you and what apps you use all the time on your tablet. This one is easy, clear out any songs you no longer like, remove any apps you don’t use, and add any new songs you have been meaning to add. Okay this is the hard one, we have so many ways of keeping information these days. We are also all different in the way we use technology. It use to be I had a word document for just about everything. When I got my new computer though and it did not have word on it, I started using Google Docs, so now the majority of my stuff is on there. Wherever you keep the information you spend the most time going through and working on I recommend going through those first. Make sure everything is in the correct file, and if you don’t have files set up, create them so that everything that needs its own file has its own file. For example if you work on your computer and you have files for data over the course of a few years. Give each year its own file and make sure it is marked data. If you are like me and have multiple writing clients with different topics create a different file for each client. If you have personal finances and what not on your computer create a file for this as well. All word documents, PDFs, and power-points need to be organized so that they are easily accessible and you can easily find where everything is. Images should be the same way. I will say this though finding images on my computer has proven difficult at times. I don’t know where they go, but every now and again they appear in random places around my computer. I recommend creating a file both in downloads and on your PC where all pictures get saved to. Create a file for them there based on either date or if they are images you downloaded online to use for a project like a blog post or work powerpoint you can then place them in a file like blogging images or presentation images. Just like with your phone I also recommend loading any images you are wanting to save as a keep sake or for scrapbooking to a cloud so that you have them no matter what. Any documents that if you lost you would be disappointed for forever and eternity I recommend downloading copies onto a thumb drive or into an online memory cloud. You just never know when your computer is going to catch a virus, get stolen or get damaged in a way that is irreparable. Keeping them in a safe place, preferably in a safe that is fire proof and water proof so you always have a back up if your computer gets damaged in some sort of disaster. Even better if you can keep the thumb drives in a different house all together i.e a box at a bank. Maybe you are pretty good at keeping your electronics organized with all of your information, but you have a bunch of old gadgets laying around the house. There are safe ways to get rid of your unwanted electronics. In fact you may even be able to make money off of them. Cell phones can be sold to recycle companies or depending on how old they are some people may even give you cash for them via craigslist, or ebay. Just take proper precautions and look out for scams. Before getting rid of any computers be sure to wipe the memory clean restore it to its original settings so that you don’t have any super personal information just sitting on the computer for anyone to pick up and find. You can donate your used electronics to places like Goodwill and Salvation Army. You can also sell them online. If they are just that old that they would not be overly useful or helpful to anyone you can take them to a electronic recycling drop off center. Some Best Buys will take old computer equipment to recycle make sure you call yours to check. A quick search of your local area could tell you if your local community was/is hosting an electronic recycle day, and where local drop offs are in your local area. These are usually only hosted a few times a year though. Whatever you decide to do with your old electronics do not place them in the trash. After all it takes millions and billions of years for those things to degrade down enough. Meanwhile they poison the ground as they release toxins from the heavy metals that they are made out of. Have any cool tips for cleaning out your devices and getting rid of old ones? Share in the comments below. Babies cannot tell you what their wants are, so trying to decide on Christmas presents might prove difficult. A good rule of thumb at any age is want, need, read, wear. Find an item for each and you have at least four good presents. Read: Hard books or cloth books are good for little ones all the way to age 3. Baby might be little, but its good to start reading early. Find a few hard covers that were your favorites when you were a kid and start reading. Wear: Babies grow out of clothes quick, buy baby a few articles of clothing that are one or two sizes bigger than he/she is currently. Want: At this stage they are really just laying there sleeping, eating, and pooping. Get them some tummy time toys, a key ring, stuffed animal, or o-ball are all good options for this stage. Need: Is there something that would make taking care of baby easier i.e a swing, bouncer, play mat that you did not get at your baby shower. Go ahead and get it now, even if its something like a play pen which you probably won’t be needing until babies mobile. Baby proofing supplies like a baby gate and cupboard locks are good options too. Want: At this point your little one is probably rolling from back to belly. This was my little one last year. They are probably also getting used to sitting and have some head control. Last year we got our little one a kids singing piano, and a singing farm. Friends bought him a slide with a car that slides down it. He also got one of those weird balls with all the different sliding things on it. He was also given books, and clothes. Need: Last year we had not yet purchased a high chair by the time Christmas came along. He was just a few weeks away from being ready to eat other foods besides just breast milk, we went ahead and bought Wesley a high chair at that point. If you don’t already have one this might be the time to purchase one. I also came across a really good deal on a bob stroller at a Pawn shop. We already had a stroller, but this stroller worked out way better than the one we had originally purchased. If you don’t have a stroller, or a baby carrier and feel its a necessity this Christmas may be the excuse you need to splurge a little on your new little one. Want: By now your little is likely crawling and if not they will be soon. Your child is already fascinated by their world, pay attention to what captures their attention. You will be amazed at the kid friendly toys available out their. My son for instance was fascinated with the remote around this point and so I went and I bought him a kids remote. He is pretty good now about keeping his hands off mine. Its a great distraction away from what it yours. Does your little have a fascination with your laptop, phone, purse, shoes? Get them something similar that they can play with safely. Amazon has an amazing collection with a ton of ideas. Need: My beautiful son grew out of his carseat around this time, thank goodness tax returns came otherwise I don’t know how we would have been able to afford the carseat upgrade we had to make. Now all children grow at different rates so very likely this is not an issue yet. However, consider your future finances. Is their something your child is going to need down the line here soon? Want: Your child likely is not walking yet, but they are certainly working their way around and getting into everything. By now you can see a quirk or two emerging. My little one loves music and sound. For his birthday we got him bongos, and a bag of blocks as he seemed to enjoy playing with them at our neighbors. We also got him a big fire engine that your can build the large lego blocks on. It was super cheap at a local thrift store. Don’t be afraid to buy the toys used, especially since many of the toys you get might be played with for a short period of time, before they become boring. Need: If you are looking forward to your little person walking their are many different types of walker options out their. Now this is less of a need and more of a parenting choice. Some feel walkers are unsafe. I did not purchase my son his walker until he was 15 months, because I was unsure if it was worth it. Within three days he was walking on his own. I got it because I knew from experience that my son can be a little lazy. He refused to crawl at first preferring to roll everywhere, until my husband put pillows in his way making him realizing he couldn’t always get around like that. My little one is a walking machine now. Want: This year my son is getting a fake children’s smart phone, and some stacking blocks. I’m considering a few other toys as well, but they are mainly educational. His one want for this year is the children’s phone. Need: We have covered most of the needs at this point, but with him beginning to walk I’m thinking the next need is going to be shoes, especially for when we take him to the park and little rocks and glass are sometimes littered on the ground. Running a small business can be stressful and begrudging at times. When you run a business it can be difficult to know where to start, or how to keep going. Staying motivated in the early days of business set up is key to making your dreams come true. Why did you start your business? Was it to get out of debt, to solve a problem, to help someone in need? People start small businesses for many reasons. I started my writing business to help with bills. Joel Usher started kinnectpay because he felt it was unfair that Facebook made all this profit off of everybody-else’s “Kinnections.” What ever your purpose for creating your business remember it, look back and make sure you are following the path you set and created for yourself. If for whatever reason you are not following that path, think about how you can get back to that path. Create a mission statement, when you create a mission statement for your business it gives you something to look upon when you are needing to make big decisions. Whether you are just a little contract writer, a real estate agent, or a CEO to a website making a mission statement even if its only something you yourself will ever see can be a productive way of sticking to your main priority. It’s amazing how much organizing your computer files or desk space can motivate you to do more work. When you declutter your work space you can find all the energy you needed to resolve the big issue that was buzzing around your head. Organizing the physical often times allows you to organize the incomprehensible musings running around in your head. Another great way to help motivate yourself is to design a schedule centered around the times of day when you are at your best. For instance if you are most creative in the later part of the day and you are a blogger than that should be the time where you do your brainstorming and or writing. If you have a lot of energy in the mornings and a need to get things done, that is when you should do the tasks you hate the most, because you have more energy to do them. If you wait to do the things you hate during the part of the day when you have absolutely no energy you are less likely to complete those tasks. For example if you hate writing emails, but it is an essential part of your business then you should do it when you have the most energy to get things done, that way you are more likely to complete the task and then move on to something you enjoy like creating the bits and bobs that you sell on your etsy account. Sometimes we have so many ideas and so many things we have to do in a given day it just seems better to hit the ground running and not stop until we hit a brick wall or our pillow at 3am. However,when you stop and take the time to develop a step by step plan not only for your day, but for your entire business make up you will find that less things get stopped or missed. Create a business plan. When you have a business plan that covers every aspect of your business including marketing, development, production, budget. There are so many aspects to every business from what platform you are going to sell on to when you will have the time to do everything you need to do. It can be difficult to stay motivated when every time you turn around their is something else you have to do or to fix. If you have a business plan you will have a better idea of what all needs to be done, not just every day, but every month and every year. Staying motivated while running a small business can be hard. It is important to maintain motivation by establishing a foundation and if you already have your business off the ground, but never did one of the above steps understand that it is not too late to go back and do them now even after your business has already been shot off the ground. In fact, it is important for every business to review the above three items at least twice a year no matter how successful the business is. Keep yourself motivated create a mission statement, review the statement and consider how every choice you make for your business fits within that statement. Create a schedule, don’t just skate through the day getting only what is thrown into your lap done, get the important stuff done even without it falling into your lap. Make a business plan when you have a plan its a lot easier to know what it is you need to be doing with your time and creating a daily schedule is a lot easier as well if you know what is priority. How do you stay motivated as a small business owner? Tell me in the comments below. This blog post was sponsored by Kinnectpay.com the social networking site that pays you to connect. The holidays are a busy time of year, people are visiting, you are traveling, working, and taking care of the children. Meanwhile somewhere in all the activity you still have to find the time to clean the house and shop for gifts. 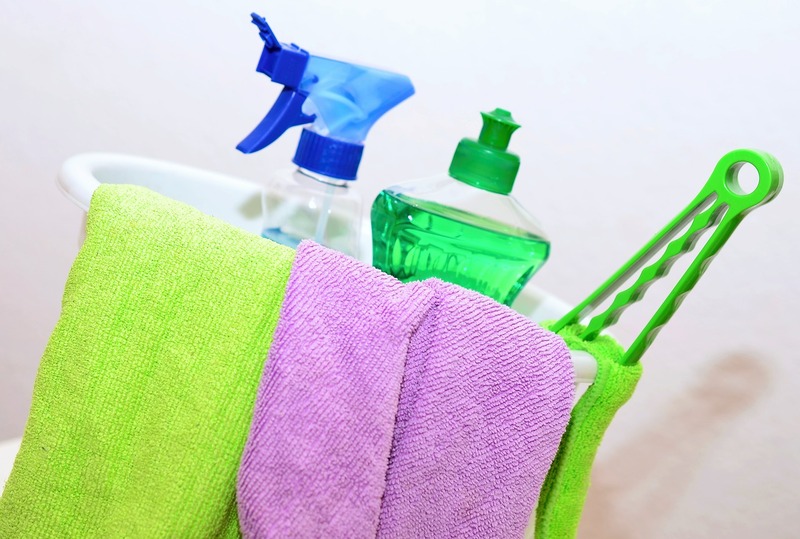 When it comes to cleaning here are 6 tips and tricks to make it faster and keep it maintained. #1 To keep your house looking clean this holiday season maintain surface clutter don’t allow piles of stuff to take over your coffee table, dining room table, desk space, and kitchen counters. #2 Maintain your floors. Leave shoes by the door to prevent the tracking in of dirt, snow, and mud. Sweep, mop, and/or vacuum every day to every other day. (If you have multiple types of floor surfaces, pick one to do.) For example maybe Monday you sweep, Tuesday you vacuum, and Wednesday you mop. #3 Wash dishes as you cook or immediately after eating. #5 Get a head start on your New Years Resolutions make a daily, weekly, and monthly chore schedule and stick to it. #6 Designate an out of the way space for gift wrapping or put it away when you’ve finished wrapping for the day.